This is a great refreshing Green Yerba Mate with a hint of lemon and raspberry – very tropical feel and is great iced! Yerba Mate is not a part of the standard Camellia Sinensis plant but from a holly plant called the Ilex Paraguariensis plant that is indigenous to South America. Yerba Mate comes in two versions – Green (non roasted) Yerba Mate or Dark (Roasted) Yerba Mate, both coming from the same plant but different types of processing. 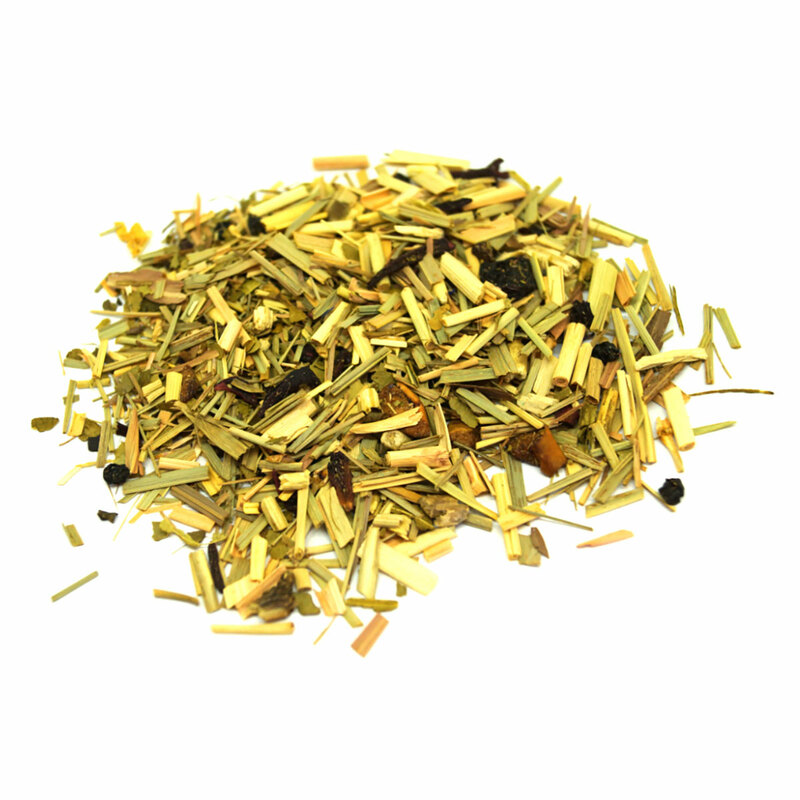 Our Green Yerba Mate is a medicinal herb that share many common health attributes to the tea plant. This blend is a combination of Green Yerba Mate plus lemongrass, Raspberry and Lemon pieces and Rose petals. It is a great tropical green mate. Ingredients: Organic and Wildcrafted Green Yerba Mate from Paraguay, Raspberry Pieces, Lemon Pieces, Lemongrass and Rose Petals. Alternatively, try our Starberry Delite Green Tea or Green Yerba Mate.